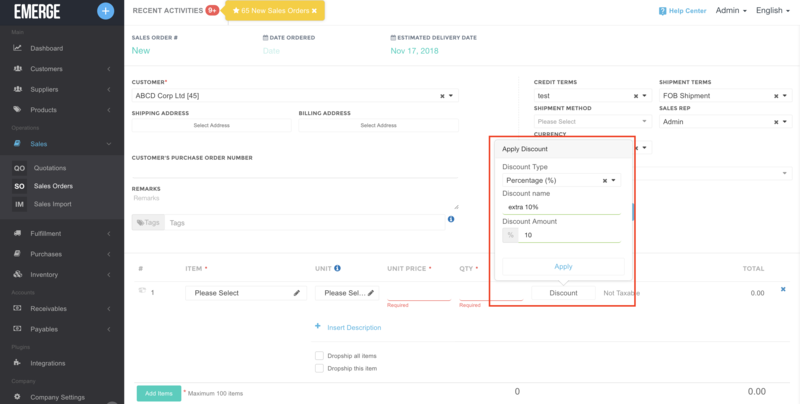 With Forever free plan, users will be able to create 6 Sales Order or Purchase Order or Adjustment or Stock Take a month. Old users with 30 free documents/month and 10 documents/month limit will be changed to 6 documents too. 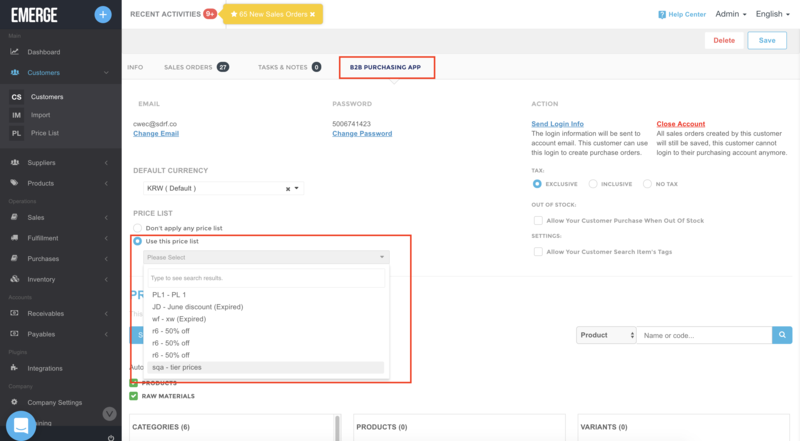 Select PURCHASE ORDER tab and you can check the Purchase Order(s) of one supplier and add new Purchase Order or pay the bills directly from supplier detail page. 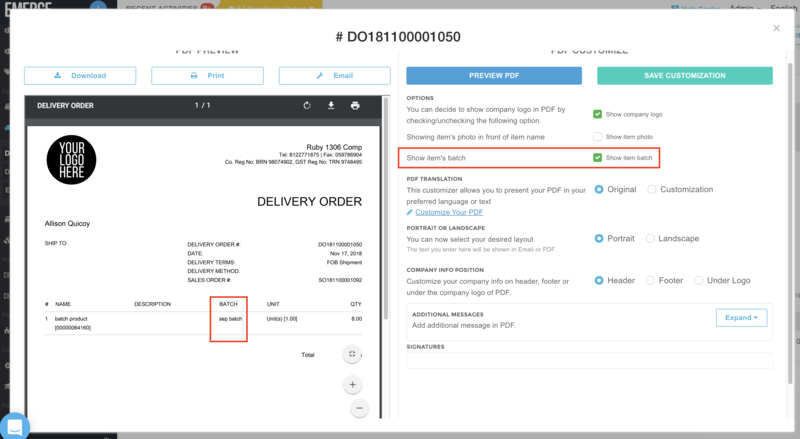 For shipment with batch products, in Create PDF step, choose Show items batch checkbox and the product batch(es) will be displayed on your Shipment PDF. 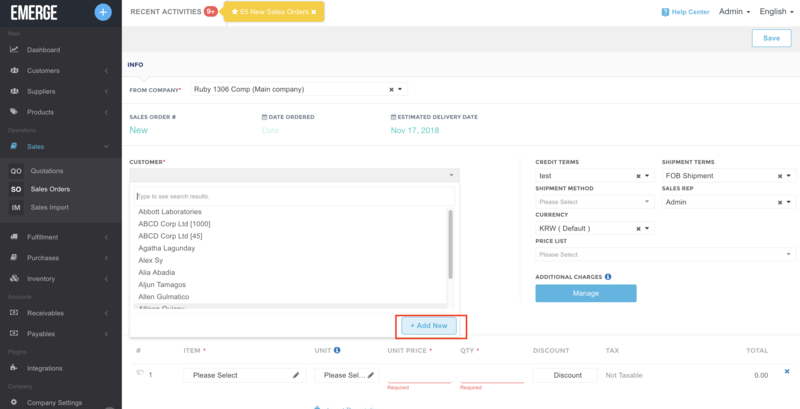 This action saves you some time if you don't want to go through the steps to close an Invoice, click Close Invoice at the top right of Invoice detail page and the Invoice will be closed. You can find the Invoice payment in Credit Notes. To add Administrative fee/Bank fee, at the step of Receiving Payment, tick on the check box Does this receipt has administrative fee? and enter the fee amount, click Receive. 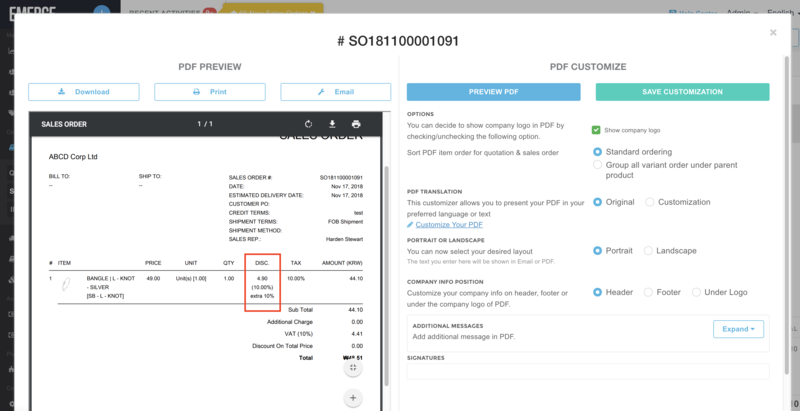 The fee will be shown on Invoice PDF and can be found in Receipts module. 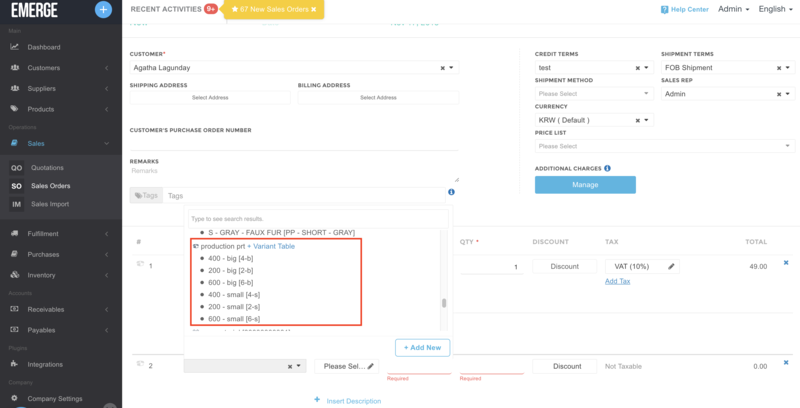 Now you can give names for discounts in the Quotation(s) and Sales Order(s), click Discount and enter its name then click Apply, the discount name will be shown on Sales Order/Quotation PDF. 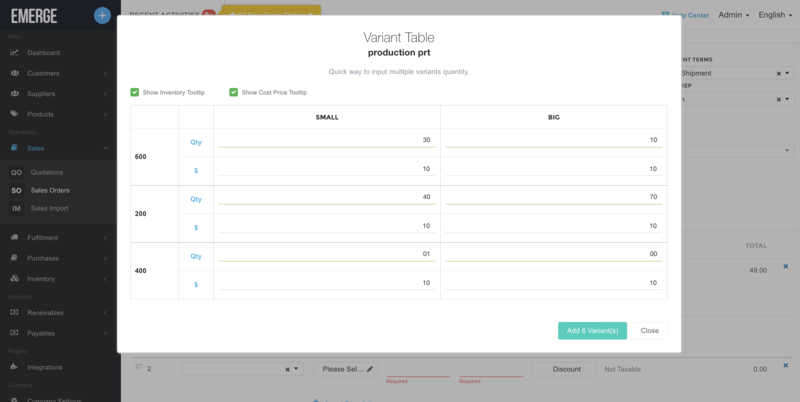 When issuing Quotation or Sales Order, items with variants if setup correctly will have +Variant Table next to them, click on it and you can quickly enter the quantity/selling amount for each variants, will be a bit faster to add one variant at a time. Now your product landed cost will have production expense in them! 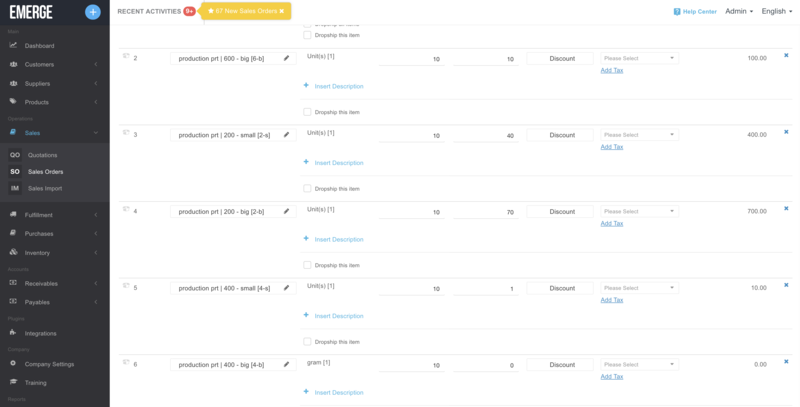 You can duplicate the previously made Production order, easy as that! In case you haven't had the customer/supplier data in app before, just click on + Add New when selecting customer/supplier, EMERGE App will allow you to quick create customer/supplier info. EMERGE Cart Update: Can apply Tier Pricing price list to customer's EMERGE Cart account.